This essay aims to give a better understanding of the extremely complex concept of Islam that nowadays seems to be the centre of an articulated dispute arisen after the horrific attacks of 9/11. The first chapter analyses the meaning of Islam commencing from the etymological roots to the study of few passages of the Holy Koran, augmented by some quotes from the critic Ernest Gellner. The second part of this essay is dedicated to the extremist’s thinking and view of Islam, with a particular attention on the term jihad. Special references to the documentary by Wayne Knopping Obsession: Radical Islam’s War Against the West as well as some writings by important enlightened theologians and writers, such as John Esposito and Edward Said are also noted in this section. The last part of this essay, portrays the West’s popular culture response face to the terror attacks in New York, underling the Western view of Muslims and the Conception of Islam with some references to Waldman’s novel The Submission. It also looks into the effects of Western Media on the masses post 9/11. The faith is based on the divine Message received by the Prophet Muhammad in the seventh century. The events, which occurred during the first few generations of Muslims, are recorded and vividly present to the consciousness of Muslims. Therefore, it is useful to understand the meaning of the word Islam starting from the etymological roots to the analysis of the most meaningful passages of the Holy Koran. However, the Arabic word Muslim comes from the same root as Islam and as a famous hadith included in one of the biggest six collections called Sahih Al-Boukhari explains, a Muslim is ‘the one from whose tongue and hand the people are safe’. Briefly, a Muslim is a trustworthy, self-respected person and a peacemaker. Allah forbids you not With regard to those who Fight you not for (your) Faith nor drive you out of your homes. From dealing kindly and justly With them: For Allah loveth Those who are just. O ye who believe! Stand out firmly for justice, as witnesses to Allah, even as against yourselves or your parents and kin and whether it be (against) rich or poor: for Allah can protect both. Follow not the lusts (of your hearts), lest ye swerve, and if ye distort or decline to do justice, verily Allah is well acquainted, with all that ye do. O mankind, fear your Lord, who created you from one soul and created from its mate and dispersed from both of them many men and women. And fear Allah, through whom you ask one another, and the wombs. Indeed Allah is ever, over you, an Observer. Say, O disbelievers, I do not worship what you worship. Nor are you worshippers of what I worship. Nor will I be a worshipper of what you worship. Nor will you be worshippers of what I worship. For you is your religion, and for me is my religion. On that account we ordained for the children of Israel that if anyone slew a person – unless it be for murder or for spreading Mischief in the land – it would be as if he slew the whole people. And if anyone saved a life, it would be as he saved the whole people. Then although there came to them our Messengers with clear signs, yet, even after that, many of them continued to commit excesses in the land. Furthermore, the Koran specifically forbids any act of suicide, as surah al-Baqra underlines saying ‘And spend in the way of Allah and do not throw [yourselves] with your [own] hands into destruction. And do good; indeed, Allah loves the doers of good’. Moreover, analysing the five pillars of Islam, which are: Shahada, Salat, Zakat, Siyam and Hajj it can be observed that there is no mention of violence. On the contrary, all of them proactively intimate good action and represent the solid basis supporting the heavy structure of Islam. Having proposed enlightening critiques that explain the roots and the origins of Islam, from the etymological definition to the basic values professed in the Koran and spread by the Prophet Muhammad, it is worth focusing on one of the biggest and most complex issues that affect the meaning of Islam itself: the misinterpretation. ‘“The problem with Islam is Islam”’ is an interesting passage from Waldman’s novel The Submission related to the horrific attack by Al-Qaeda on the World Trade Centre and Pentagon, that calls into question the structure of Islam itself as a religion and culture. This issue has to be examined deeply, going back to the roots of Islam and focusing on how extremist groups, such as Al Qaeda and the now so-called ISIL, interpret the holy message of Islam. Why do they behave in such violent ways against the West and everyone who disagrees with their ideology? We were taught that jihad is a religious holy war for the sake of Allah. To conquer the World for Allah. Daily, my classmates would recite jihadist poetry. They were crying, wishing to be shahid, to die as a martyr, to die in jihad. Therefore, the major issue linked to the word jihad is the confusion between the real meaning of the word and its interpretation by extremists with the consequent spread of information through the Arab World. Itamar Marcus, founder and director of the nongovernmental organization Palestinian Media Watch, summarises in Obsession the struggle between radical Islam and the West in the twenty-first century. He cites Jordanian and Palestinian schoolbooks of Islamic education used in 1998, which taught that ‘This religion will destroy all other religions through the Islamic jihad fighters’. He continues saying ‘It shows how mainstream some of these concepts were seeing as radical Islam had become or are in the mainstream Arab World today’. In fact, the same documentary shows how Arab media such as Palestinian TV, Iranian TV, Al-Manar TV, Iqra TV, Lebanon TV, were constantly broadcasting Islamic leaders spreading messages of hate against the West and particularly, the United States of America and Israel. Gelliner in Postmodernism, reason and Religion, underlines that radical Islam or fundamentalism ‘is best understood in terms of what it repudiates’. That is why all these messages revolve around the concept of jihad used as war against the disbelievers, the Western enemy who wants to eradicate Islam. As the Palestinian Sheikh Ibrahim Mudeiris underlines in one of his speeches, ‘America is the foremost enemy of the Muslim nation, because it wages war against the Arab, Islamic nation’. Similarly, the Lebanese researcher Anis Al-Naqqash corroborates that ‘The US is the enemy of Arabs, of Muslims, and of humanity, and every person must resist it, to the best of his ability’. For interpretation depend very much on who the interpreter is, who he or she is addressing, what his or her purpose is in interpreting, at what historical moment the interpretation takes place. The Arabic word jihad is often translated as holy war, […] while the Arabic world for war is al-harb. In a religious sense, as described by the Quran and teachings of the Prophet Muhammad (s), “jihad” has many meanings. It can refer to internal as well as external efforts to be a good Muslims or believer, as well as working to inform people about the faith of Islam. If military jihad is required to protect the faith against others, it can be performed using anything from legal, diplomatic and economic to political means. If there is no peaceful alternative, Islam also allows the use of force, but there are strict rules of engagement. Innocents – such as women, children, or invalids – must never be harmed, and any peaceful overtures from the enemy must be accepted. Mein Kampf means my struggle, but what struggle? Nazism had a struggle with what? What did the Jews do in Nazi-Germany? 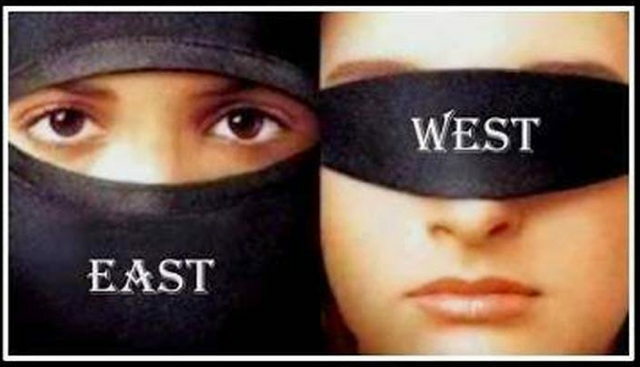 Jihad has been used in the Middle East as struggle with the Jewish people, struggle with the West. The majority of those women who leave their countries to join extremists’ groups are not alone. Brothers and husbands accompany them with the only intention to get married legally and lawfully. He underlines the fact that therefore, jihadist fighters do not observe religious rules and they change them according to their wills and interests. For example, they do not let them pass the Idda period before remarrying them to another fighter. They persuade women that their marriage is honourable and is a consistent contribution to the jihad fight and will lead to Heaven. The divorced women shall wait three menstruations (before marrying another man). It is not lawful for them to conceal what GOD creates in their wombs, if they believe in GOD and the Last Day. (In case of pregnancy,) the husband’s wishes shall supersede the wife’s wishes, if he wants to remarry her. The women have rights, as well as obligations, equitably. Thus, the man’s wishes prevail (in case of pregnancy). GOD is Almighty, Most Wise. Consequently, it seems that these radical Islamists base their behaviour on a reinterpretation of religion, mostly believing that they are strictly following the holy message of the Koran, while, in reality, they are using, or better abusing religious values to justify their behaviour. Looking into this matter, Winifred Woodhull, professor of Literature at the University of California, reports the idea of two well-known north African feminist writers, Assia Djebar and Fatma Mernissi. He affirms that ‘both writers are critical to the caliphs’ imposition […] and of the fact that their autocratic rule has been used for centuries to justify authoritarian regimes in Muslim societies’. Like Al-Qaeda and other militants, ISIS offers a militant, warped, and distorted Salafi ideology/religious rationale or rationalization to justify, recruit, legitimise, and motivate many of its fighters. Much of what they do violates Islamic law: such as its unabashed acts of terrorism, slaughter of civilians, savage use of beheadings, and killing of innocent Muslims, Yazidis, and Christians. While religion/Islam, a particularly harsh and distorted version, does play a role to legitimise, recruit, and motivate, studies of most jihadist movements, like ISIS, show that the primary drivers are to be found elsewhere. On the same topic, another confirmation that underlines the lack of knowledge of Islamic law can be found in an interesting collection of essays by Western Muslim scholars and defines that ‘jurisprudence (fiqh) has been abused by extremists so as to excuse and even promote suicide killings’. From the Iranian Revolution to bin Laden to, let’s say, ISIS, skipping over a lot of things, you’ve got a series of examples of violence and terrorism, but when you unpack it, depending on what you’re looking at, certainly, for example, when you look at a number of Arab and Muslim countries where you’ve had the rise of terrorists, terrorist cells, for example, Egypt, and what’s going on, for example, today in Iraq, the primary drivers are political, not religious. Thus, this battle of radical Islam against the West seems to represent hostility against secular society and democracy, as ‘secularism has clearly been the desire to end cruelties […] that religion has so often initiated and justified’. Islam has consequently become a ‘politicized Islam’ rather than aiming at religion. [wzslider]After having investigated the radical vision of Islam and the concept of jihad spread by fundamentalist groups, that have been active in Western society such as Al-Qaeda and ISIL, it is time[wzslider][wzslider] to have a look at the other side of the coin. How does the West conceive Islam and extremist groups, above all after the attacks of 9/11? In contrast to today, until only a few decades ago in the US and Europe, Islam and Muslim were invisible on our cognitive and demographic maps. Knowledge and coverage of Islam and Muslims were negligible in media, schools, and universities, the training for the military and Foreign Service Officers. Islamic studies was primarily focused on the past, emphasizing the study of texts and history, not the role of religion in modern politics and society […]Saddam Hussein’s invasion and occupation of Iraq, and followed by Osama Bin Laden, al-Qaeda, and especially 9/11 and subsequent attacks from London and Madrid to Bali, precipitated a “global war on terrorism”. The impact of which has reinforced fears of a clash of civilizations, changed the dynamics of global politics, and resulted in a quantum increase in government agencies and terrorism experts and in security, Middle East, and Islamic studies, as well as the exponential growth of Islamophobia. The interpretation of texts, which is what the knowledge of other cultures is principally based on, neither takes place in a clinically secure laboratory, nor pretends to objective results. It is a social activity and inextricably tied to the situation out of which arose in the first place, which then either gives in the status of knowledge or rejects it as unsuitable for that status. No interpretation can neglect this situation, and no interpretation is complete without an interpretation of the situation. Islam means submission-it makes slaves of its followers, and demands that people of other religion submit to it, too. Their goal is to impose Sharia, Islamic law, wherever they can, including the United States. They will tell you it isn’t true, but the problem is that Islam also sanctions lying (pp.169-170). Those fanatical comments are flanked by more moderate ones like ‘Islam is a religion of peace […]The problem is that some people haven’t gotten that message’(p.74) or ‘We still do not know what most Muslims think’(p.21), ‘Radical Islam-naked radical Islam-is the enemy’(p.51), ‘You’ve done so much to the ummah, to show Muslims want to live in peace in America’(p.101). For the general public in America and Europe today, Islam is “news” of a particular unpleasant sort. The media, the government, the geopolitical strategists, and – although they are marginal to the culture at large- the academic experts on Islam are all in concert: Islam is a threat to Western civilisation. It showed that forty-four percent of the respondents thought that “most” or “some” of the 9/11 hijackers were Iraqis; only seventeen percent knew the correct answer, “none.” Also in that poll, sixty-five percent said they thought Iraq and Al Qaeda were allies. This powerful and at the same time dangerous ignorance is the fuse that increases hate reactions, bullying and violent acts from the non-Muslim side such as the headscarf pulling and the killing of Muslim people. This is also highlighted in The Submission. Consequently, this explains as well, the high percentage of Americans supporting war in the Middle East as Robert Jensen states in his article. This ignorance is also a big threat for the well-being of different communities that are more and more mixed in the World. An example is the recent US Muslim entry ban, suggested by Donald Trump, that is apparently already in place. This restriction is described by Trump as ‘a total and complete shutdown of Muslims entering the United States until our country’s representatives can figure out what is going on’. According to an article in The Mirror, at least twenty British-Muslim families lately have already experienced Trump’s ban, including a Muslim family of 11, who were stopped at Gatwick Airport a few minutes before boarding a flight to Disneyland. This is an outstanding case of generalisation and labelling, which affects our community nowadays. It is very important then, that critical theorists make Western audience aware that terrorism is a movement that has nothing to do with the religion of Islam. People need to start differentiating radical Islam from the real Islam and who follows its values. Millions of Muslims were shocked at the events of 9/11, as well as London, Paris, Tunis and many more attacks conducted by extremist groups. Many Muslims were ready to support Islamic values going against terrorists’ attempt to ‘alienate an increasingly uneasy Muslim world’. An example that showed how Muslims support the Western society and the tolerance between cultures and religions is the campaign ‘Not in my Name’. This movement saw millions of Muslims spreading peaceful messages throughout the web and manifesting against terror and radical Islam. Tolerance is an Islamic virtue, based not on a disclosure of rights but on one of norms. It is no accident that Jews expelled from Europe at the beginning of its modern era and violently persecuted at its end, survived in the Ottoman Empire, where, like Christian, they were respected as “the people of the Book.”[…] Racism is rejected unconditionally by Islamic doctrine. Al-Mundhiri, Al Hafidh Zakiuddin Abdul-Azim, Sahih Muslim (Riyadh: Darussalam, 2000), p.69. Obsession: Radical Islam’s War Against the West, dir. by Wayne Knopping (Clarion Project, 2005). Author: Sara Alouani I am an MA Student at the Birkbeck University of London. I am very passionate on contemporary literature, above all women writings, cultural and religious studies, international relations and human rights. I am very interested in Muslim Religion and the role of women in Muslim Countries. I am a very communicative and empathic person and I love sharing different points of view.